For signs, posters, all kinds of crafts because solvent-based paint dries instantly. Colors may be blended and removed with turpentine. Fully opaque on all surfaces. Lightfast and weather-proof. Broad, Fine, or Extra Fine Tips. 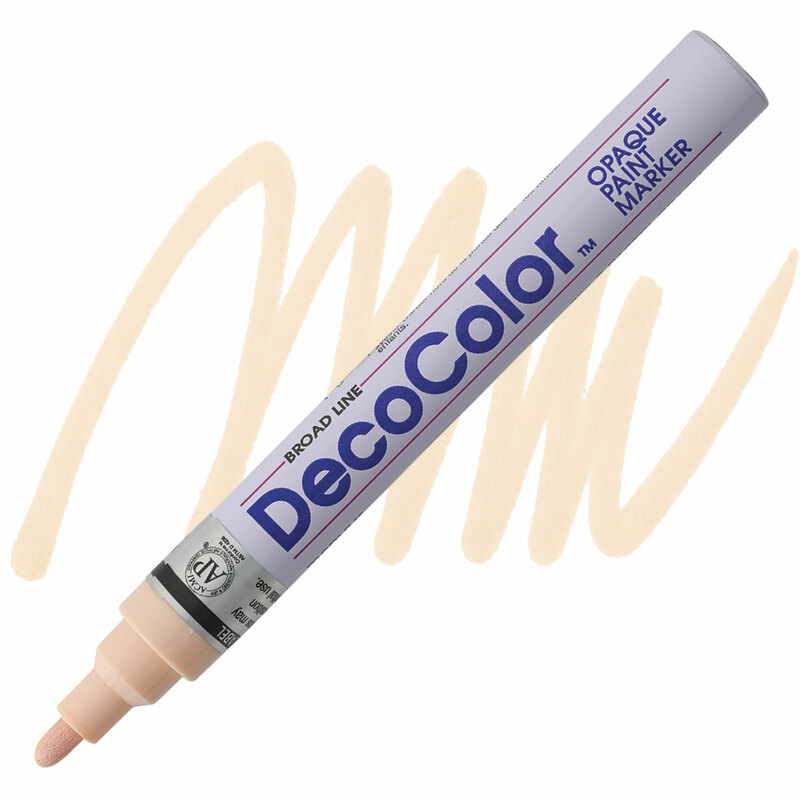 ™ Decocolor is a registered trademark.